We can't out-sin the grace of God. There is no line that we can cross that puts us out of God's reach. “Their sins and lawless acts, I will remember no more. And where these have been forgiven, there is no longer any sacrifice for sins” (Hebrews 10:17, 18). 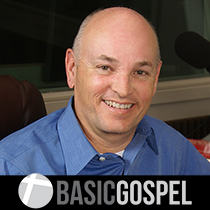 “Bob,” Lee said, “I’m calling to tell you that Basic Gospel changed my life. I was a very bad guy, I mean a very, very bad guy. But now I know my sins have been totally forgiven.” I admit, at first I wondered what in the world he could have done that was so bad. Whatever it was, the guilt of it trapped him in a dark place he thought he would never escape. He had tried anything and everything he could to ease the pain and to somehow find peace. But nothing took away the enormous burden he carried. He thought he had out-sinned the grace of God and that there was no hope for him. 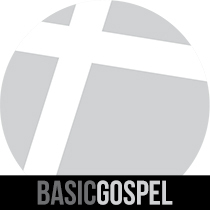 But everything changed when he heard the message of Jesus’ finished work on the cross. He told me when the forgiveness of God hit his heart; he stopped his truck and screamed at the top of his lungs. I would have liked to have seen this big moment in Lee’s life! As Lee learned, we can't out-sin the grace of God. There is no line that we can cross that puts us out of God's reach. Jesus's blood has taken away all of our sins. We stand before him as forgiven people. Today, thank God that Jesus's blood took away all of your sins no matter how big or how bad they were. And thank Him that in Christ you have redemption, the forgiveness of sins.